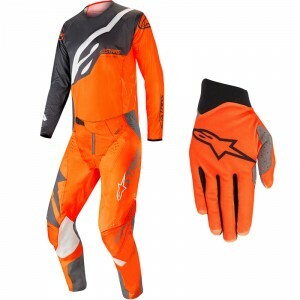 A motocross gear combo is a combination of a motocross jersey, pants and optionally the gloves that match the set. The parts can also be bought separately. Below you will find more information about the motocross gear. The simplest part of a motocross gear combo is the jersey. It is made of an ventilation material, which ensures cooling of the rider. The degree of ventilation is one of the biggest differences you will find on modern motocross jerseys. By making the jerseys light weight, the rider experiences minimal resistance. In addition, the stretchable material offers the possibility to wear body armour under the jersey. If you choose to buy a slim fit version, sometimes it is necessary to order one size larger to accommodate for the thickness of the motocross body armour. Of course it is also possible to wear the protection over the jersey. Pre-curved sleeves and elbow padding are other features you will find in the more expensive jerseys. The pants are the most expensive part of a motocross gear combo. They are designed to work together with the protective equipment, such as boots and knee guards. 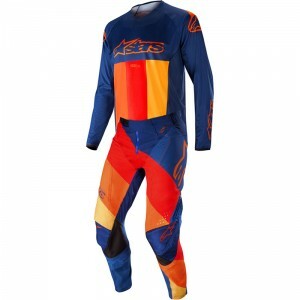 Good motocross pants offer a lot of freedom of movement and ventilation, so you can perform optimally. In addition, it protects the rider from heat of the exhaust. There is a lot of difference in the technical properties of the cheapest and most expensive motocross pants. The differences are mainly found the area of ventilation, freedom of movement and construction. An example of this are the advanced knee constructions, which provide movements with minimal resistant, which means you waste less energy. More information about the technical characteristics can be found in the motocross pants department of the webshop. Gloves are important for motocross riders, because it is the main connection with the control components of the dirt bike. It offers grip and comfort, that allow you to have good control over your motorcycle. The motocross gloves are available in many shapes and sizes. There are versions available with protection on the fingers and knuckles, these offer protection against impacts from stones and branches. Others have a minimalistic design to provide maximum ventilation. 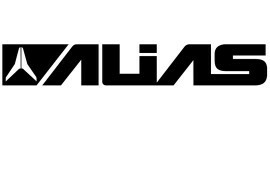 More information about the technical properties can be found the motocross gloves department of the V1mx webshop. With most motocross gear combos you can order the matching gloves. By default only the pants and jersey are included, the gloves are always optional. If you choose to add the gloves, the additional price will automatically be calculated and displayed. A motocross kit should look beautiful and allow you to stand out on the motocross track. V1mx has a wide range of colors and designs available so that every rider can find a motocross gear combo to their liking. There are also advantages to standing out on the motocross track. For example the spectators can easily recognize you during a race. Choosing bright colors also promotes safety, because you are better visible to other riders. 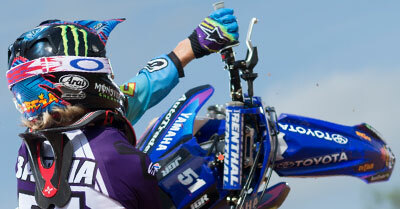 V1mx has a wide range of motocross gear combos from top brands. Almost all brands produce a basic, medium and top level mx gear line. 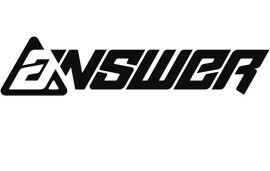 The brand Answer Racing in known for the affordable gear. For the Syncron line the price is just over 100 euros. For the competitive riders there is also more advanced Answer gear available. The expensive line is worn by some of the best riders in the world. Among them are Antonio Cairoli and Jorge Prado, together accounting for 10 world titles. 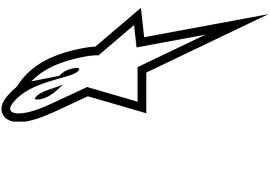 Another brand that is worn by many champions is Alpinestars. The advanced motocross gear combo’s from the Italian brand are used by Jeffrey Herlings, Eli Tomac and Jason Anderson. With 4 different lines, there is a Alpinestars gear combo available for all riders, from beginner to professional. V1mx also has the off-road equipment from UFO available. This brands has been around since 1977 and procures a wide range of dirt bike parts and motocross gear. 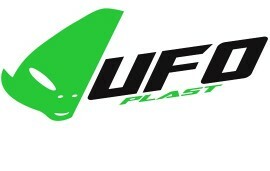 Only the best, lightest and most wear-resistant materials are used by UFO. In addition, the advanced kits are produced in their own factory in Italy, which results is top quality products. Finally, V1mx also has the Pull-In motocross gear. This is a sister company of the well-known French brand Kenny. 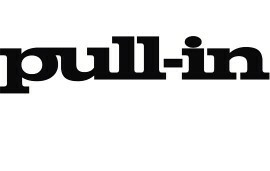 Pull-in has affordable clothing with good technical characteristics. At V1mx you have the possibility to customize the motocross gear. 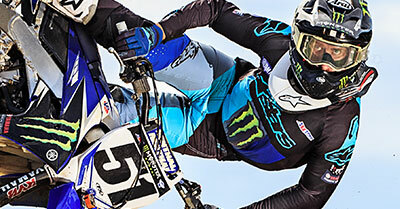 The most popular customization is printing a motocross jersey with your name and number. You can choose from more than 10 different styles. In addition, you can also choose from more than 15 colors, including fluorescent colors. The jersey printing service is available from only €19,95. At V1mx you can order it easily and fast with the purchase of your new motocross gear combo. After placing the order you will first receive the design for approval. V1mx also has buttpatches and legpatches for sale. These are emblems that you can sew on the motocross pants. The buttpatches give you a unique look, just like riders in the motocross world championship. You can let our designer create a fully customized patch according to your wishes, or you can choose from the 100 designs in the webshop. Do you have any questions about the products or about placing an order? Please feel free to contact the V1mx customer service. We would be happy to help you choose the motocross gear that meets your requirements.